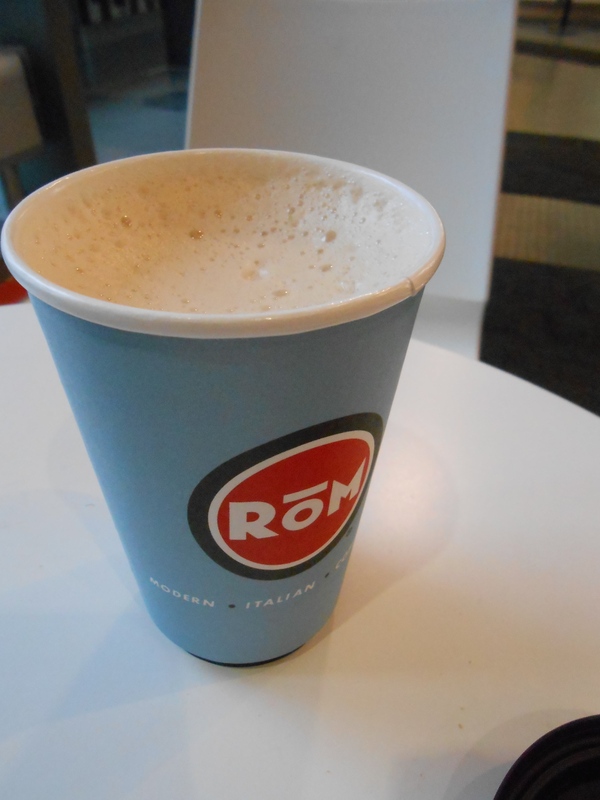 Caffè Rōm is an Italian style cafe located at a couple different locations in Chicago. The one I went to is at 400 East South Water Street. I got a bit lost on my way to the cafe and my time there was a bit stressful; because I was meeting up with a friend, my phone had for all intensive purposes died, and I was running late. It’s near the river and on a map it looks like a fairly easy place to get to, but there are stairs and different layers due to an overpass or two. On a map it also looks like its not facing the Lake Shore East Park but it actually is. I ordered a chai latte and tried to figure out a way to get ahold of my friend who wasn’t there. 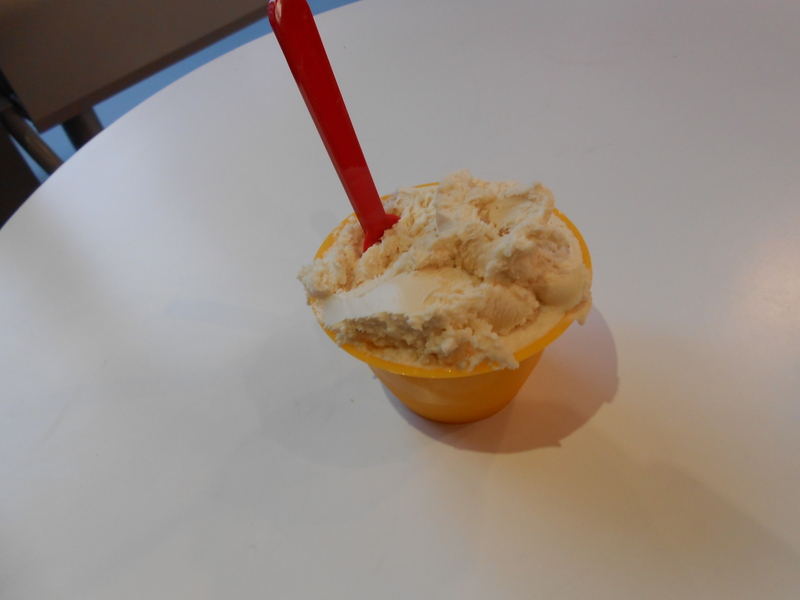 When I finished my drink I went to get a scoop of almond gelato despite the cold, hoping that my friend was just running late and was okay. After an hour and a half I gave up and tried to figure out how to get home. Turned out my friend had tried to get ahold of me a couple hours earlier to cancel and without a properly working phone or something that could access the wifi at the cafe I didn’t get it. It was a Friday afternoon and the cafe wasn’t that busy. It was quiet and peaceful with people working off to the side. It seemed like a nice place to get away and pretend you weren’t quite in the city. Since the park is surrounded by apartment buildings like the one the cafe is attached to, it was like it’s own little world. I just wish I had known a better way to get there and to get home from there.